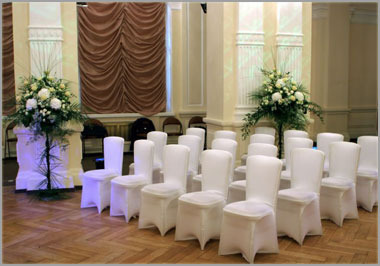 We are engaged in offering Wedding Catering Services to our most valued clients. Our services are widely appreciated and we offer this Catering Service as per our clients specific requirements. Clients can avail this Catering Service from us at most affordable prices. We "City Caterers" have an extensive experience of almost two decade in the catering industry (working since 1992). We offer various Catering Services to meet the requirements of our clients, ranging from birthday parties, weddings, hospital catering (patient mess and canteen service) and staff lunch in MNCs. Our previous experience includes working with esteem organizations like Hindustan Unilever Limited, Relaxo Footwear Company, Altius Health Care and J.J. Institute of Medical Science. It has been our continuous endeavour to innovate and develop high quality services indigenously in order to provide you with a world-class edge for your satisfaction. We bring world-class services right at your door-steps, that too with a world-class quality. We believe in outperforming established standards in order to give our customers the best. The main objective of our organisation is to supply quality services at competitive rates, timely delivery and best available services to our patron. We only provide services in Delhi NCR area.